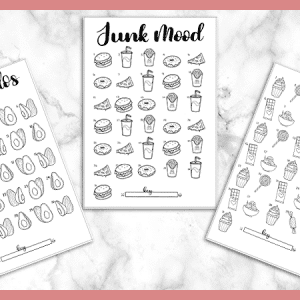 Printable boho doodle stickers for your bullet journal. 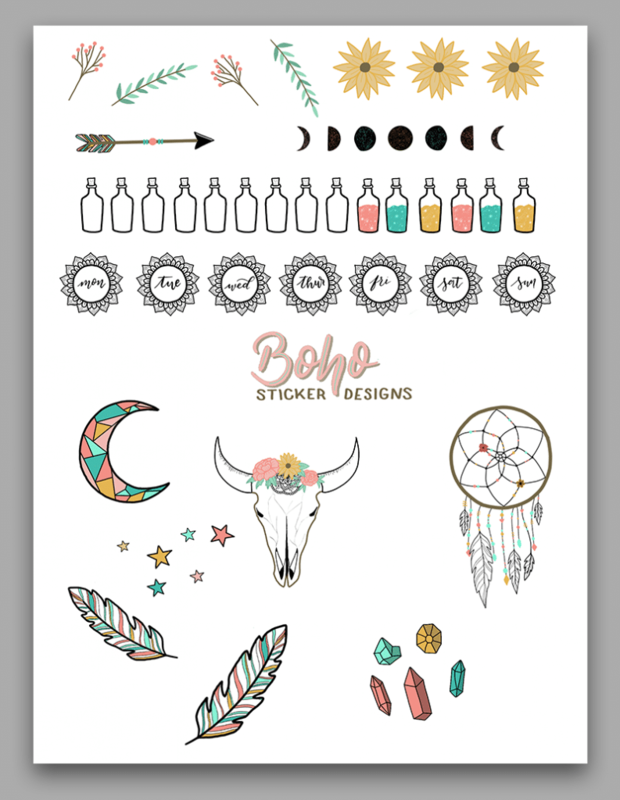 This PDF includes bohemian themed decorative stickers and mandala weekday header stickers. For August, I had about five theme ideas that I was debating between. Boho was one of my top choices. But, I ultimately ended up going with a Kate Spade/Betsy Johnson theme. You can see my August Plan With Me video here. It turned out to be one of my favorite themes so far. Plus, I made this monthly with a dutch door, which I have never tried with a monthly spread. But, even though I am over the moon with my August setup, I still had this desire to do some bohemian inspired doodles. And, as you may know by now, my iPad Pro + Apple Pencil + Procreate is one of my new favorite hobbies. I love creating stickers, printables, lettering pieces, and everything else with these amazing pieces of technology. So, I sat down for a few hours and drew out some of my favorite doodles to-date. 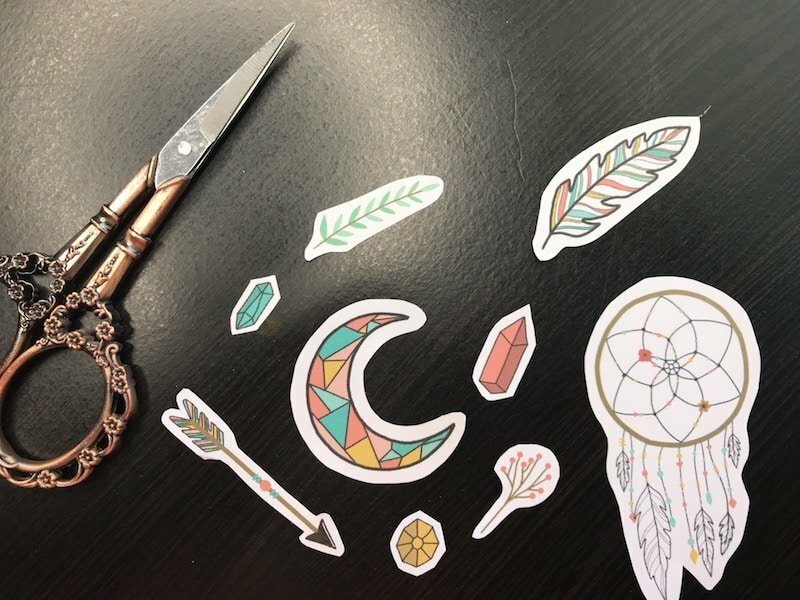 These doodles turned into boho doodle bullet journal stickers. *While you can use these any way that you like, I thought the empty corked jars would be great for little trackers. You could use them to track hydration, daily productivity, mood, etc. To download this file, enter your information into the form box down below. This adds you to my newsletter list, which I’m pretty infrequent with. And when I do send out emails, they will include freebies, updates on new posts, and discounts for my online courses. I promise not to spam your inbox. Once you sign up, you will be directed to instantly download the PDF. Shortly after, you will receive a Welcome email from me. 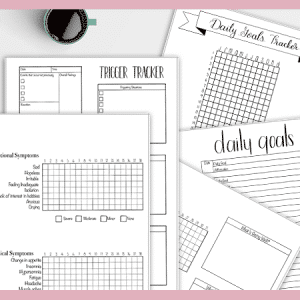 This email includes the password to get into the VIP Resource Library where you can download any of my free printables. 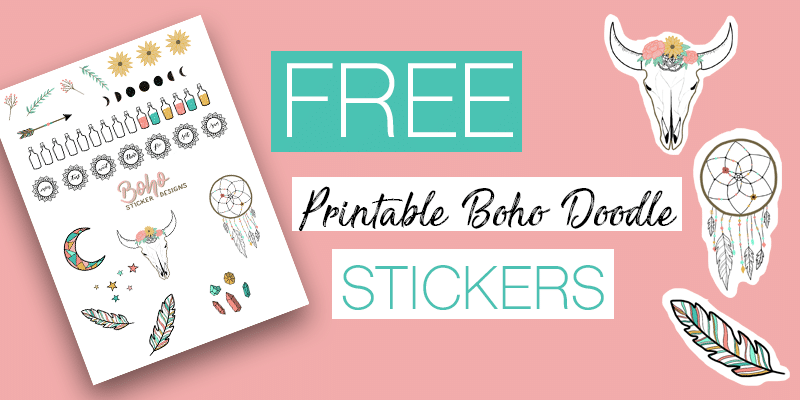 If you are already a subscriber, all you have to do is head to the VIP Resource Library, enter the password provided in the first welcome email you received, and scroll to the printable stickers section to find the Boho Stickers download. Open the PDF with Adobe Reader or other PDF Reader. Adobe Reader is a completely free program that you can download here. 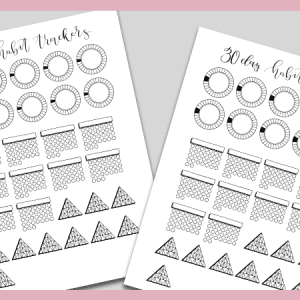 includes 100 full size, matte sticker sheets and is under $20. It will last a long time and the print quality and sticker quality is excellent. From here, you just have to cut out your stickers. Because these are not perfect rectangles or squares, it’s easiest to do this with a pair of scissors. You can either sit down and take the time to cut them all out all at once or cut each individual sticker as you need it. I would love to see what you create with these stickers. 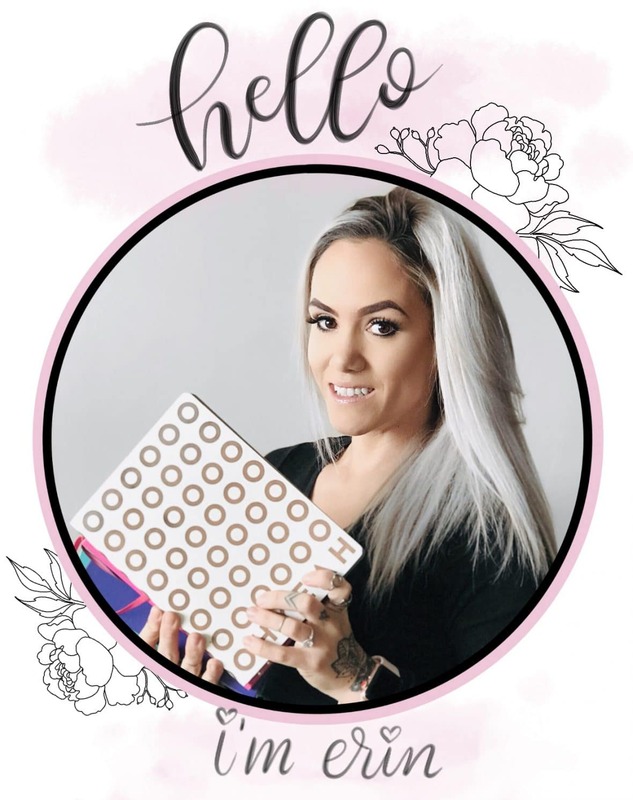 Tag me on Instagram, @the.petite.planner or use the hashtag #petiteprintables when uploading.